Protect your basic household electronics and home appliances from power surges with the Comprehensive 6-Outlet Surge Protector. 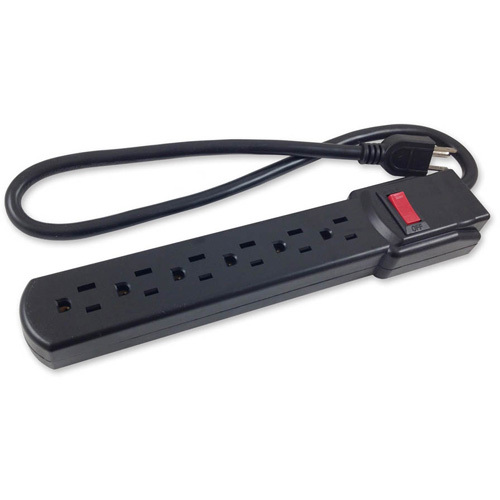 This surge protector is recommended for computers, TV's, small appliances, and many other electronic items. Listed by Underwriters Laboratories. Rugged high-impact plastic housing, heavy-duty line cord with molded AC plug, and circuit breaker rocker switch. Unit comes with a Lifetime warranty for a lifetime of worry-free use.